Today, we’re jumping into bed with the science of sleep. More specifically, we’re looking at the likeliness of getting injured from not getting enough snoozes. Given the fact that sleep plays an astronomic role in both the psychological and physiological recovery process, athletes don’t take this seriously enough. 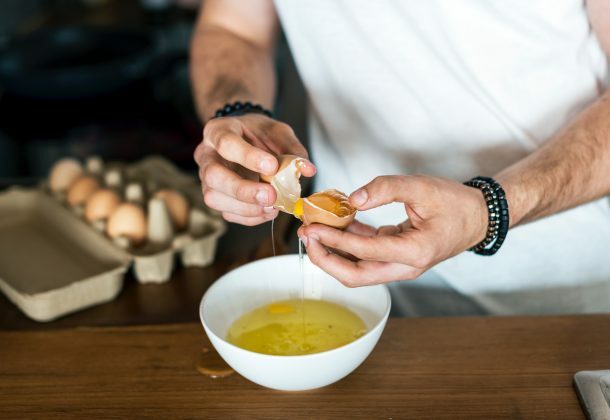 To compound this, the greater amount of mental and physical stress experienced during the day may warrant even more sleep. If anything, athlete’s mindfulness of this is generally pretty poor – Is this because they’re facing higher training loads, competition loads, more mental stress, and social commitments? The causes are many – one thing is for sure; they aren’t getting enough quality sleep and it’s increasing their chance of getting injured. Here’s the running thought; sleep deprivation ruins cognitive function, affects mood and decreases reaction time. Combine this trio and place it into a sporting environment, especially contact sports and you’re going to get hurt. In addition to this, lacking sleep reduces physical recovery; therefore you’re constantly in a compromised state. Over a 21 month period, Milewski et al (2014) saw an association between a chronic lack of sleep and injuries in 112 youth athletes. Of which, 64 (57%) of them picked up 205 injuries – That’s 3.2 injuries each over a 21 month period. Not cool side of the pillow we’re looking for! 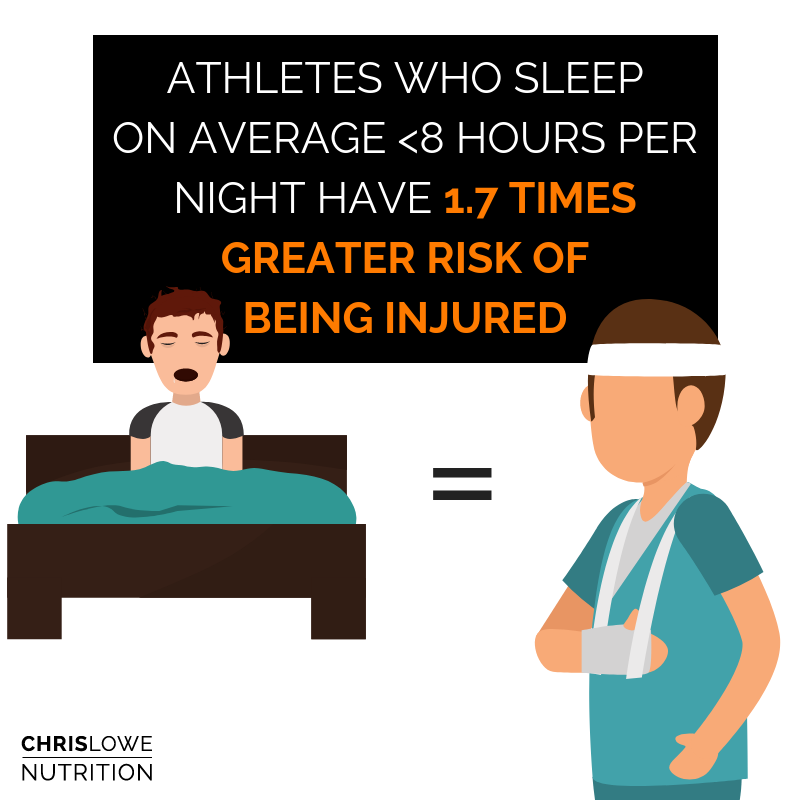 Adding to this; 65% of the youth athletes reported to sleep less than 8 hours per night which made them 1.7x more likely to get injured than those who slept above 8 hours. As with everything, the prevention is the best cure. That’s why we need to get your sleep hygiene sorted ASAP. In other words, the practising behaviours that facilitate sleep. No phone, tablet, PC, TV etc 30-60 mins before bed. Do a ‘brain dump’. If you’re tired and wired – write things down. Sleep in cool temperature rooms ~17C. Do these four things and you’ll be sleeping longer and deeper than ever before. PLUS, your risk of injury will highly likely go down. Nobody likes being injured, so don’t let this be you. I’ve given you the facts, so get some sleep.